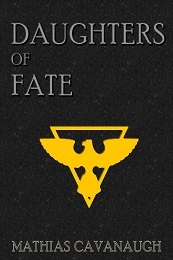 Chapter 4 of Daughters of Fate back from the editor with comments. Minor stuff. Two paragraphs I want to work on before release. When one becomes two. When one goes away. When one is scared. When one is angry. The souls can never be at peace. And the world will suffer. The hushed call of her name startled her. Dazed, the elder daughter of Stormband turned over. The straw of her mat cut into her sides. She blinked and watched as Cassandra stood over her. Sheala rolled back over and pulled the tattered blanket over her shoulders. The air was cold. Rain pounded outside, driving a chill into her. Earoni blesses only a few with the gift of the birth of twins. The event is sacred among all of Earoni’s people. It is rare as the falling star and the blessing is infinitely more precious. Beneath the canopy of spring leaves a coach traveled along the uneven road. It rumbled and bounced in haste, protected on all sides by a company of knights on horseback. The formation was so tight that at the speed they traveled a misstep or slip by any of the mounts would have been disastrous. There were no markings on the stage. The once colorful placards adorning the sides had been removed. All that remained of them were the metal hangers and darker, unfaded wood beneath that had not seen much of the sun or elements. The voids left a silent testament to the importance of not announcing where one had come from. So, one of the things I am doing before publishing chapters of Daughters of Fate is that I have them edited. I have a couple proofreaders that, in exchange for seeing the chapters first, are going through them and pointing out anything that they see as issues. But before that, I also put the chapters through two different apps to try and get the major language issues sorted out. The first is the Hemmingway Editor. This is pretty good at finding my clunky sentences, spelling, etc. Diur brought forth three entities from the darkness. Daughters of the Great Dragon, the Fates, they were entrusted with the destiny of all upon Geiha. Sashna Keeper of Law and Good, Octeava, Keeper of the Dark and Chaos, and Sarina, Keeper of Neutrality and Balance. Their charge – to hold together the fabric of the universe for all time. Darkness. Everlasting darkness. It stretched for as far as any of the senses could sense. The cold blackness of the cosmos was broken only by the flickering of distant stars. Its silence was lonely. So terrifyingly lonely. Power coalesced. Ether began to churn. It moved at its own pace, without a care of what others would desire of it. The universe would not bend to the arbitrary will of the impatient. Where once only emptiness had been, twisting clouds contorted. Their swirling motion molded and bent. When the cosmic dance finally ceased, they formed a tower extending downward to infinity. Its stone was plain, unassuming, and out of place. But it filled the cosmos with an aura of power, control, and balance. As though it was meant to be there. Daughters of Fate, Chapter 1, is set for publication tomorrow (February 13, 2019). For those that are interested, watch this space. I will also be publishing at Wattpad for users of that site. What is Daughters of Fate? Daughters of Fate is a high fantasy story that I began writing in 1991. It is based on the world I created for the Dungeons and Dragons campaign I DMed in college.